All India Bar Examination (AIBE) XIII 2019 application process has begun. The LLB graduates need to apply for the All India Bar Examination (AIBE) 13 between September 26 and December 10, 2018 in online mode. The Bar Council of India (BCI) will be conducting All India Bar Examination (AIBE) XIII on December 23, 2018. The BCI has announced the All India Bar Examination (AIBE) 2019 application form in a complete online mode. However, the AIBE XIII applicants have also been offered an offline payment mode, i.e., Bank Challan. The AIBE XIII 2019 applicants can pay the BCI examination application fee till December 13, 2018. According to the All India Bar Examination (AIBE) XIII 2019 calendar, the LLB graduates can submit their application form by completing it till December 15, 2018. The open-book examination of AIBE XIII 2019 will be held offline, where the candidates will be given as many as 100 questions of one mark each. The test takers will be given a duration of 3 hours and 30 minutes to answer the objective-type questions. The offline question paper will have each question with four answer options of which the candidate will have to choose the option that he deems to be correct answer. According to the AIBE 13 exam pattern and marking scheme, the correct answer will be awarded one mark and those answered incorrectly will be awarded zero mark as there is no negative marking policy. The BCI conducts AIBE to examine an advocate’s capability to practice the profession of law in India. Those who qualify BCI’s All India Bar Examination are awarded ‘Certificate of Practice’ by the Bar Council of India, certifying them to practice in the Indian courts. Great relief for Girl students in Uttar Pradesh school as State Government has directed all government and government-aided schools to weave off the tuition fees of girl student of all sections of society. This rule will be applicable from current session i.e for the classes starting from July 2nd. The circular also mentioned that only tuition fees has been waived off, other fees like sports, development and science charges will be applicable. Shena Aggarwal, who holds a Bachelor of Medicine and Bachelor of Surgery (MBBS) from the All India Institute of Medical Sciences here, has topped the UPSC Civil Services examination. 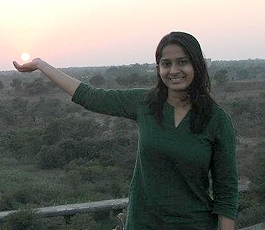 Shena Aggarwal is from Delhi. Rukmini Riar secured second place. Prince Dhawan came third. Prince Dhawan has completed Master of Technology from the Indian Institute of Technology, Delhi. The Civil Services (Preliminary) Examination, 2011 was conducted on June 12. As many as 4,72,290 candidates applied for this examination, out of which 2,43,003 wrote the test. 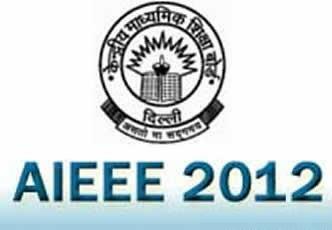 Central Board of Secondary Examination (CBSE) has assured students that fields not available for correction in the online application form will not hamper their eligibility to appear for the AIEEE (All India Engineering Entrance Examination) exam. Last date for submission of online application form is 31st December 2011. CBSE Chairman, Vineet Joshi has announced that corrections can be made by sending an application to their regional office one month before the examination. Medical Council of India has been requested by Chhatrapati Shahuji Maharaj Medical University of Lucknow to grant MBBS degree to repeatedly failing Schedule caste students. The university conducted extra classes and even hired external examiners for the failed students but still they were not able to clear the exam. The Lucknow university has requested Medical Council of India to grant MBBS degrees to these failed students without conducting any further examination. This page was last modified on 1 October 2018 at 11:10.